These are perfect for mounting a stand size 1/8" antenna tube on the back of a transom. These work well, when space is limited. 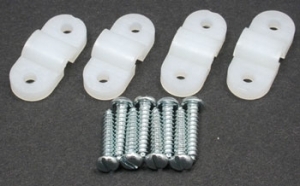 (4) per pack with mounting screws. A mount like this is perfect for the Super Vee or Mini V.